I was really happy to see Crimson Shroud recently localised on the 3DS eShop in America and Europe. For me, it released at the right time with near perfect timing. I had my last exam of the semester on the 17th of December and this game came out on the 13th-a couple days I had to wait-but I'd filled my mind with optical facts and tables for my last exam, so it wasn't a bad wait. But more than that, I've been in the mood to play some of those Fighting Fantasy "choose your own adventure" books and something short, sharp and well written. Crimson Shroud ticks all the boxes for me. Allow me to explain just why it does so. Graphically the game has its faults. It can look jaggy in quite a lot of scenes, and the interface which shows the HP and MP of each unit clutters the screen, drawing lines from each unit to their respective bars. Add to this the 3D elements, which further confuse things, and you've got what can be a quite annoying look to the battles, in particular. However, I should say, the graphics aren't at all bad, and the style in which they are done is really nice, with some really well drawn characters. Its just a case of the screens being too small for what they wanted to fit on, and sometimes the screen won't show everything you need, or what you are looking for, you'll have to scroll over. The style of the game is modelled (pun intended =p) around the tabletop RPG and the miniatures that represent each character. As a result, the camera focuses on and pans over the static minis for each character. This serves an interesting purpose. With the abscence of obscene hand and facial gestures truncating the character's dialogues, you fill in the blanks with your mind, fleshing out characters in places, and forming ideas around them. All you will see is the occasional 'jiggle' of a character's base, as the player fiddles around. Its really quite cool. For such a short game, the creators (who you may know from some great RPGs such as Final Fantasy Tactics and Vagrant Story) have really infused a lot of depth into it, and each locale is described in prosaic language, really adding to what each aspect of this game strives to do-put the player into the game. You can really imagine these dank, echoing caves or the crumbled, sun bleached structures from lost civilisations. The characters benefit a lot from the odd musing from the main character, and the occasional back story flash back, but by the end of the game, there were a lot of aspects of the story and of each of the characters that confused me. I think the game could have used an extra 10 or 15 hours, and at times I was wanting more of it, its a really interesting world. 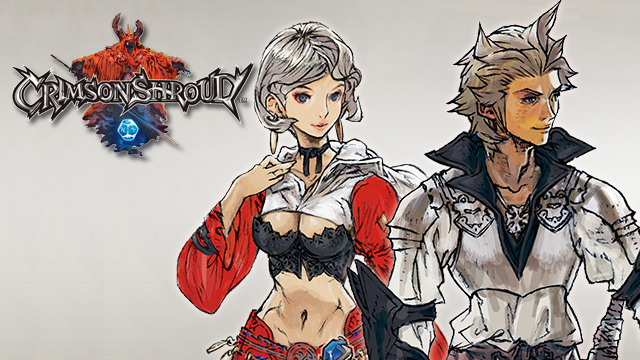 Clocking in at 8-10 hours roughly, the game is a refreshing, unique RPG that is perfect for filling gaps in between epic 50+ hour games, or just if you're looking for something different. This one is definitely highly recommended from my end, a gamer who has only dabbled in the tabletop realm and appreciates well written worlds. A solid early addition to the e-shop's RPG library, with some really interesting ideas. 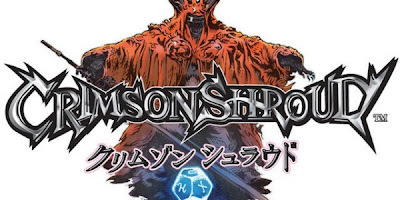 Being a big Matsuno fan, Crimson Shroud intrigues me. 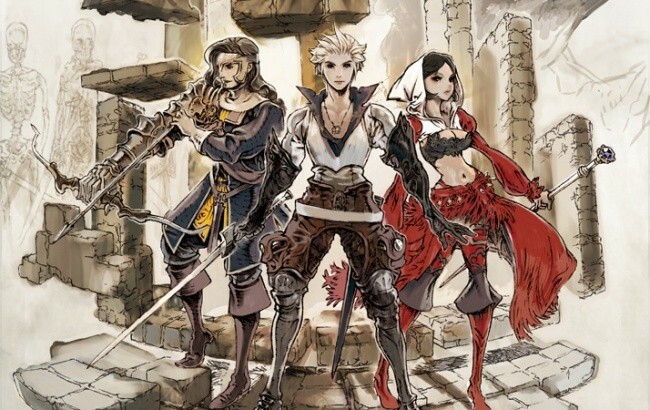 It has a great Vagrant Story vibe and the gameplay mechanics look interesting. I also hope we can get a full scale RPG from Matsuno again soon! What is this gaming funk? !